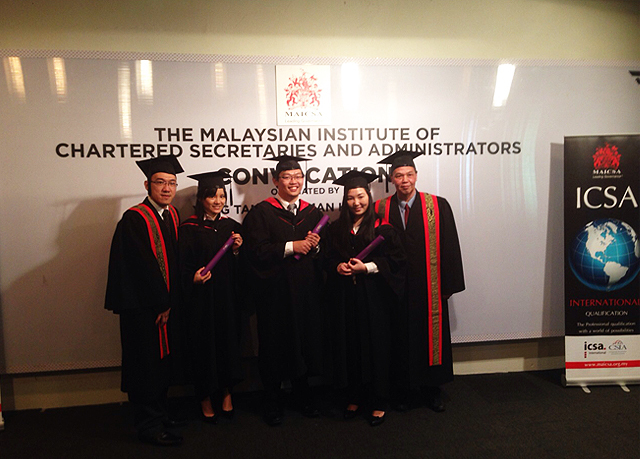 UTAR students Lim Shu Yi, Hang Joo Lee, and Chow Win Niy were awarded graduate status by The Malaysian Institute of Chartered Secretaries and Administrators (MAICSA) at the recent convocation held at Kuala Lumpur Golf and Country Club (KLGCC) on 16 May 2015. 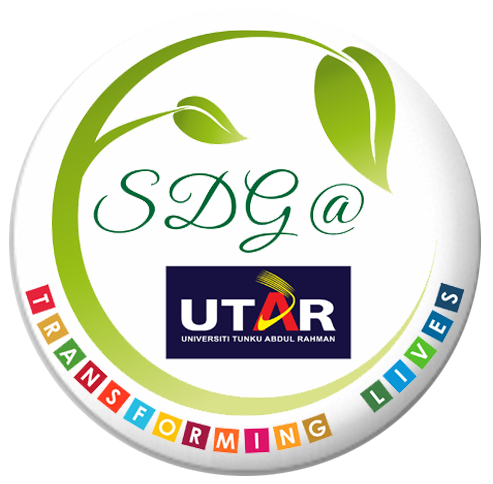 “Through UTAR’s collaboration with MAICSA, it gives greater value to my MBA. I’m extremely happy and grateful” said Lim with a smile. “With this MAICSA recognition, my MBA is globally recognised. I’m extremely grateful to UTAR”, said Hang. From left to right: FAM Department of International Business Head Alexander Tay Guan Meng, Lim Shu Yi, Hang Joo Lee, Chow Win Niy, and Deputy Dean (Student Development and Industrial Training)David Ng Ching Yat. Through the current agreement, graduates of the MAICSA-UTAR MBA programme are awarded graduate status of MAICSA. The collaborative programme is optional and open to all UTAR MBA (Corporate Governance) students in the UTAR Faculty of Accountancy and Management (FAM). The Institute of Chartered Secretaries and Administrators (ICSA) is the leading recognised professional body for Chartered Secretaries and Administrators in the United Kingdom and throughout the world. Formed in 1891, the Institute today has 36,000 members worldwide and is represented in over 70 countries. The Malaysian Institute of Chartered Secretaries and Administrators (MAICSA) was founded in 1959 as an affiliated body to ICSA.